White – Chardonnay, Pedro Ximenes. Red – Carignan, Grenache, Syrah. 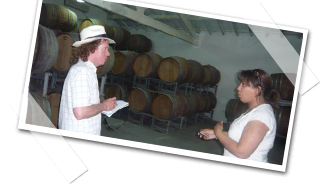 Nestled in a mountainous amphitheatre in Cap Bon, Domaine Neferis is well sited for the production of quality wine. The slopes channel sea breezes and the elevation gives an extended growing season. 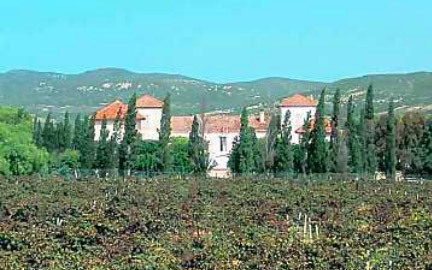 Domaine Neferis is the Tunisian land-owning partner. 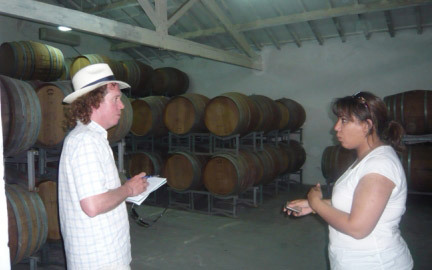 Calatresi, a high quality Sicilian venture, makes the wines. However, the thinking here is Tunisian, with added influence from Australian winemakers helping to gain the best expression from the wines. The estate is progressive in other areas too: the wines are made by Tunisia’s only female winemaker, and the winery is experimenting with solar power for its needs. Pale green in colour. Fresh limey nose with hints of peach and savoury nut. Nicely balanced palate. Limey flavours and savoury cheese rind. Pleasant. Lively deep pink. Fresh, simple berry nose, clean and generous. Balanced. Pleasant but simple berry fruit on the palate. Deep ruby in colour. The nose is a little muted, though showing some cool red fruits and gamey notes. More giving on the palate. Soft tannins supporting ripe plum fruit, and light coffee and chocolate characters from oak. Grapes: 70% Chardonnay, 30% Pedro Ximenes. 50% aged in oak. Medium gold. Quite an intense nose with honeyed characters, pear, acacia and a little oak. Elegant on the palate, though quite powerful, giving and aromatic. Again, honeyed characters over green stone fruit and floral aromatics, rose petal particularly. Fresh, fine and savoury. Medicinal style, with bright berry aromatics. Well balanced, fresh and clean, though light on aromatics and not lingering. Grapes: 100% Carignan. 50% oak aged. Deep, dark and dense. Intense plum, chocolate and damson on the nose. Soft and supple palate with plenty of fine tannins supporting coffee aromas and meaty qualities (fresh not game). Perhaps a little hollow mid-palate. Good persistent length. Grapes: 100% old vine Carignan. 100% new oak. Deep, opaque purple. Very intense fruit pastille nose and hints of dark chocolate, though a little dumb otherwise at present. Intense palate. Very plentiful fine tannins. Lots of plummy ripe fruits, chocolate, cinnamon and coffee. Oak nuances are pronounced though the fruit bears it. Again, maybe a touch hollow mid-palate, though that’s being picky. Dark purple. Deep plummy nose. Wild damson, black pepper and macadamia nut. Big palate. Lots of fine tannins, glycerol and acidity supporting. Rich plum jam, chocolate, coffee and spice characters. Tight and yet to fully open, though good potential.